Celebrating the birthday of our country is expressed in so many ways; the 4th of July brings parades, concerts and fireworks to towns and cities all over the United States. 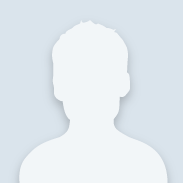 The American flag hangs from flagpoles and lampposts, red, white, blue decorations drip from porches and doorways, the stars and stripes are up…. and flying high! Americans show pride with flowers as well, planters are filled with red, white and blue annual blossoms, tiny American flags flutter from within; town centers are adorned with annual, patriotic hanging baskets and banners…the party is on! 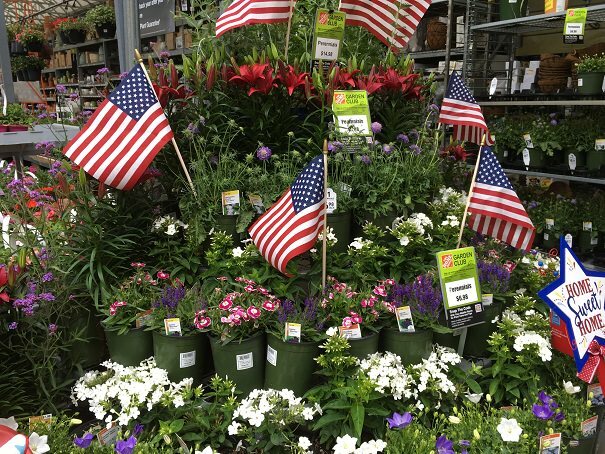 Show your colors with a parade of patriotic perennials, plant a few reliable red, white and blue perennials that will return year after year to bloom during the, 4th of July celebrations, and on into the summer months. Plant a few Asiatic lilies, the “Tiny Invader” series offers a great deep purple/red color lily called “Tiny Ghost” Look for a perfectly compact, red and white, Dianthus by the name “Olivia Cherry”. Dig in....show your perennial pride, do a patriotic perennial planting! 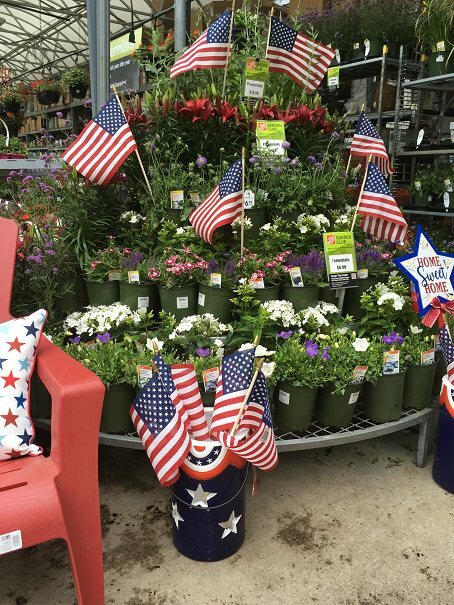 Stop by your local Home Depot see all the colorful perennials on display and celebrate our country, celebrate perennially!